It’s ungodly cold out, which means I haven’t been getting around town too much lately. 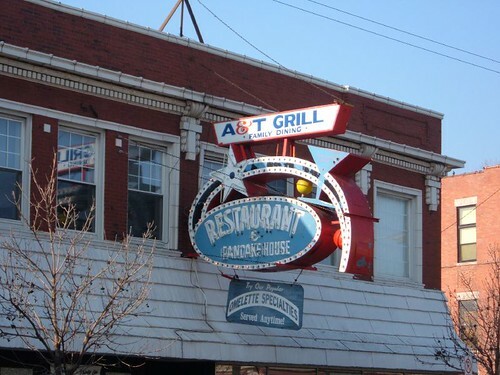 To kill the time, I figured I’d post a bit about my own little corner of Chicago. 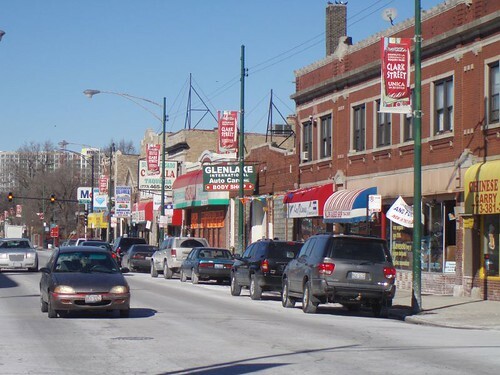 As it makes its way north through the city, Clark Street’s density goes up and down. There’s the hyper-active area around Wrigleyville, then a dead zone. 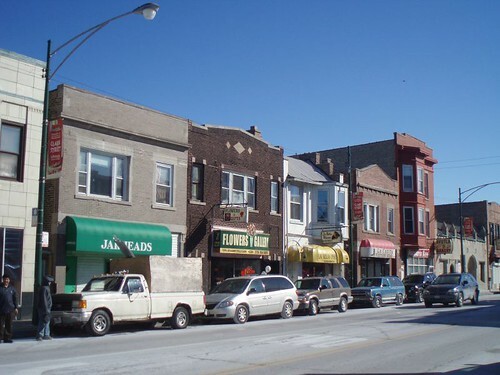 Andersonville, then another dead zone. 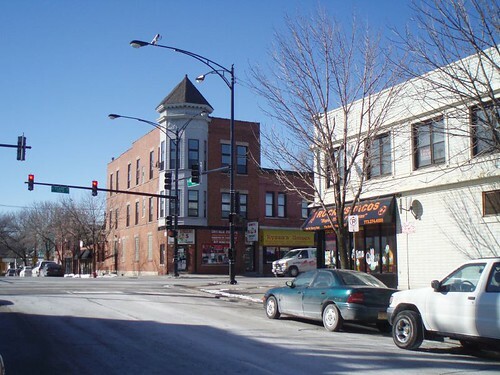 Then comes Rogers Park, the last stop before Evanston. I wish I could say this part of Clark Street is pretty, but it ain’t. It’s tacky, cheap, lowbrow. But “pretty” isn’t everything; the area is also thriving, vibrant, bustling and active. These blocks pack more cheap Mexican restaurants per acre than maybe anywhere else in the city, and almost as many small grocers. 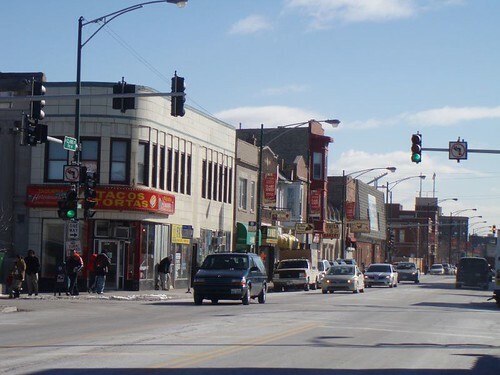 This section of Clark is heavily Hispanic, but the surrounding neighborhoods of Rogers Park are pretty well integrated. I pass all kinds of people on my way to the store and the post office. It’s comfortable, safe, but not sanitized. 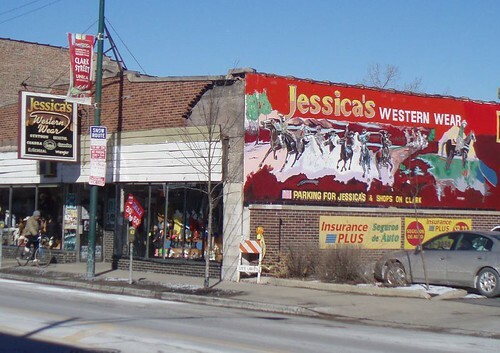 The stores are a riot of color and activity, signs jammed over the sidewalk and windows packed with merchandise. Trucks are constantly unloading, cars are everywhere, students and kids and parents are always passing by. 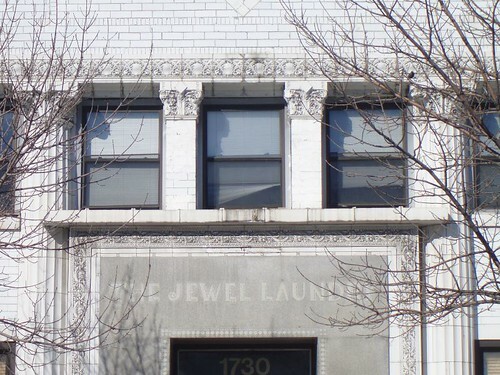 Just off of Clark may be found this little gem: the Jewel Laundry Building, a white glazed terra cotta confection trimmed with Sullivanesque ornament. It’s exceptional because there aren’t really many other stand-out buildings here. In fact, there’s nothing special here at all, nothing in particular worth seeking out — the entire district as a whole is what’s special, the living, pulsing vibrancy of an urban neighborhood that’s doing well. 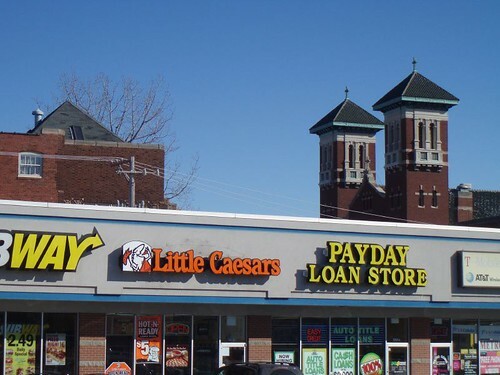 This entry was posted in Commercial strips. Bookmark the permalink.